A mouth guard, commonly known as an athletic guard, is recommended for both children and adults that play sports. Some examples of these sports are football, soccer, hockey, field hockey, lacrosse, basketball, baseball, softball, karate, wrestling and boxing. Basically, for any activity that poses a risk to damaging the oral cavity a mouth guard is strongly advised. Mouth guards help prevent broken or chipped teeth, nerve damage to teeth, tooth loss, as well as soft tissue damage around gums, lips and tongue. Accidents do occur while playing sports and it is best to protect your teeth by wearing a mouth guard during a game or practice. A mouth guard will lower the risk of injuries to the mouth by absorbing shock from an impact. 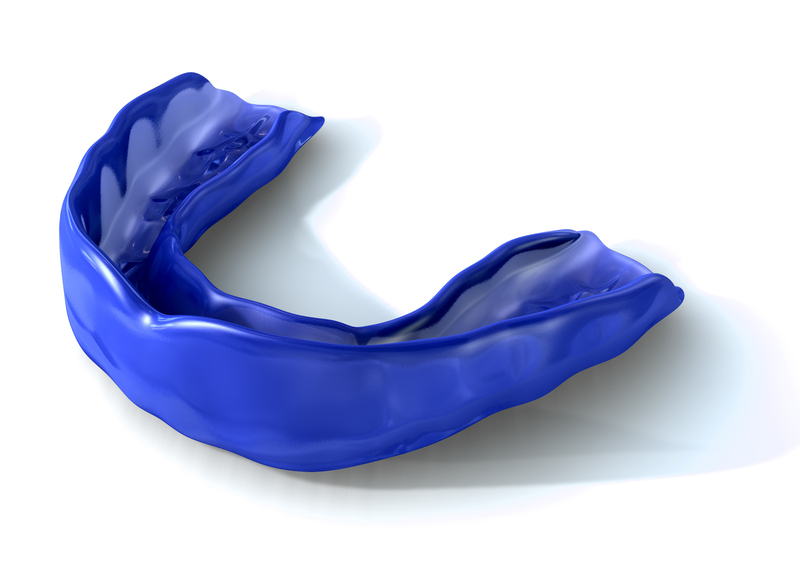 Custom mouth guards made by your dentist allows for the best fit. A dentist will take molds of your teeth, then using the molds and a special mouth guard material, your dentist or a professional lab will create a custom mouth guard that fits perfectly to your teeth. It would be specific to your mouth. Due to the perfect fit custom guards are the most comfortable and provide the highest protection. They are durable, tear resistant, do not hinder breathing. Call Dr. Buss at Portland Smiles today to make an appointment for you or your child to have a mouth guard made!